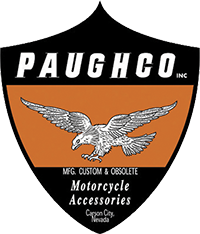 Paughco trike bodies are easy to install bodywork sets for use on trike frames. The company is currently offering two styles, Truck Bed or Hot Rod. 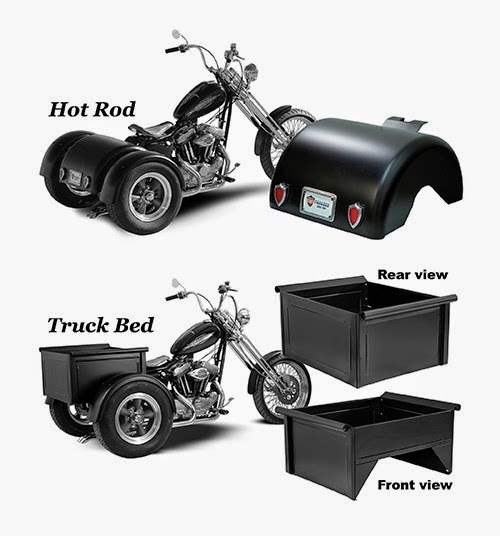 Truck Bed style kits are heavy gauge formed sheet steel, and the Hot Rod bodies are .100in rolled and formed aluminum. Both kits are designed to bolt directly to the stock rear frame horns and offered to fit a wide variety of chassis applications from ‘58-‘84 FL four-speeds to ‘93 – ‘04 Sportsters, ‘96 and later Dynas and ‘86-‘11 Softails. All kits are supplied with mounting hardware and supports. The Hot Rod bed does not come with taillights or license frame.